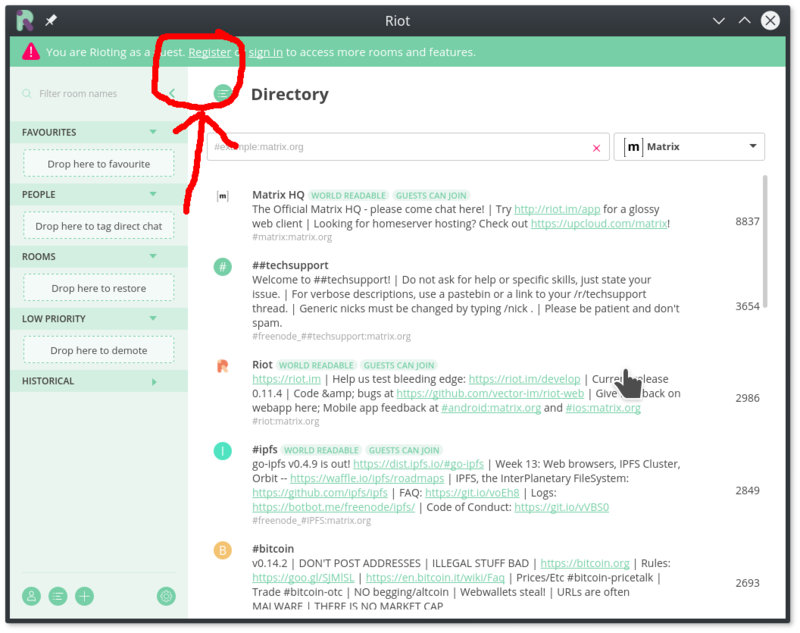 You will need to ##register an account on our server matrix.hispagatos.org so we going to use as example the riot-desktop app. click “custom server” and if using any other client is similar, basically you have to click “advance”, “custom server” or “connect to another node/server”… you get the idea. 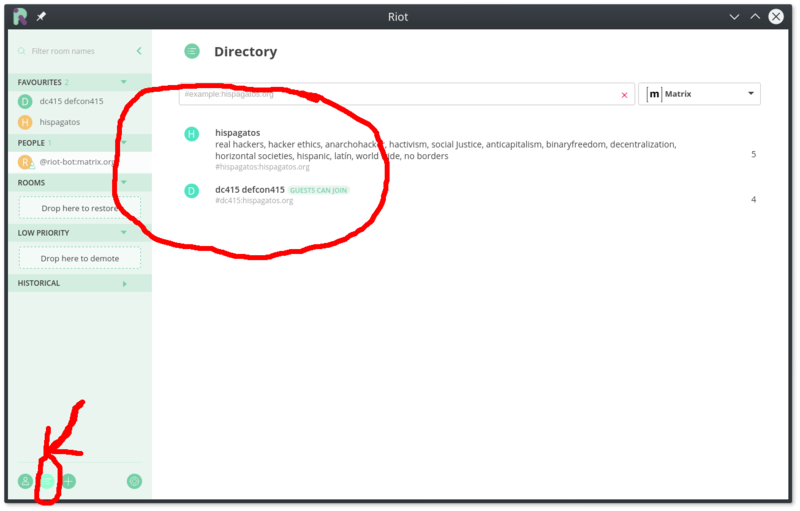 do not change the identity server that is part of the federation settings. 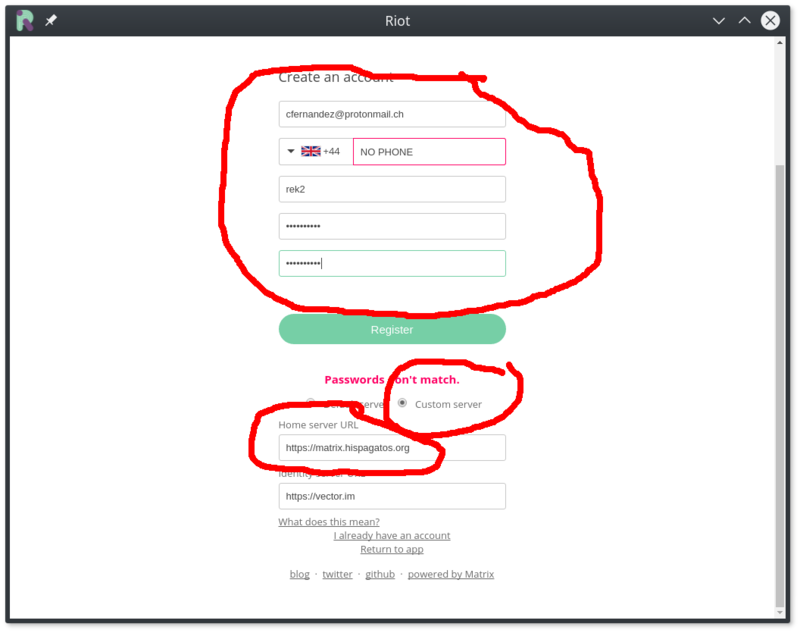 yap yap now look for the register click/button etc and make sure our info is all correct with your username,passwd,email… do not use phone number well if you want to.. but is NOT needed. After this the system is going to send you a electronic mail(e-mail). 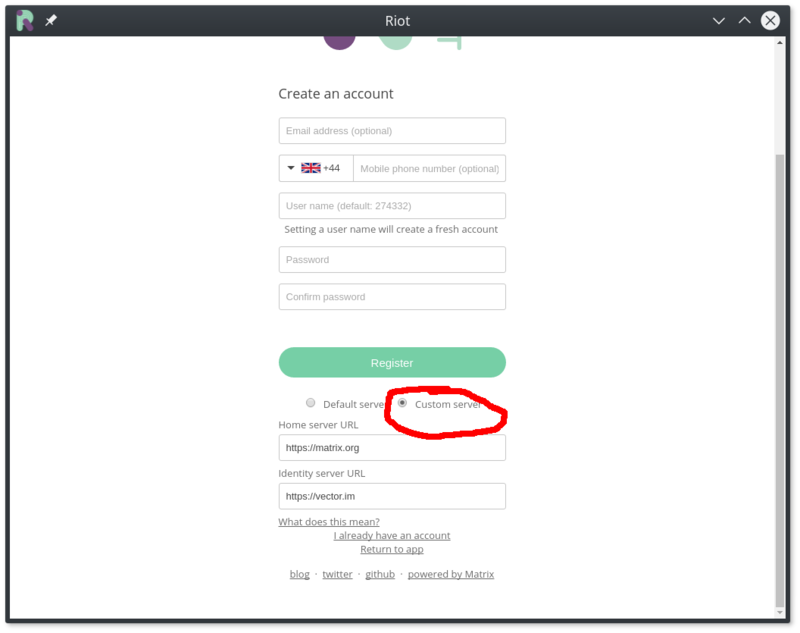 This email will include a token in form of a link, click on it it will take you to the web client and maybe give you a CORS error, but ignore it in your desktop client riot-deskopt you should had been logged in and greeted by a funny bot with tutorials and help. 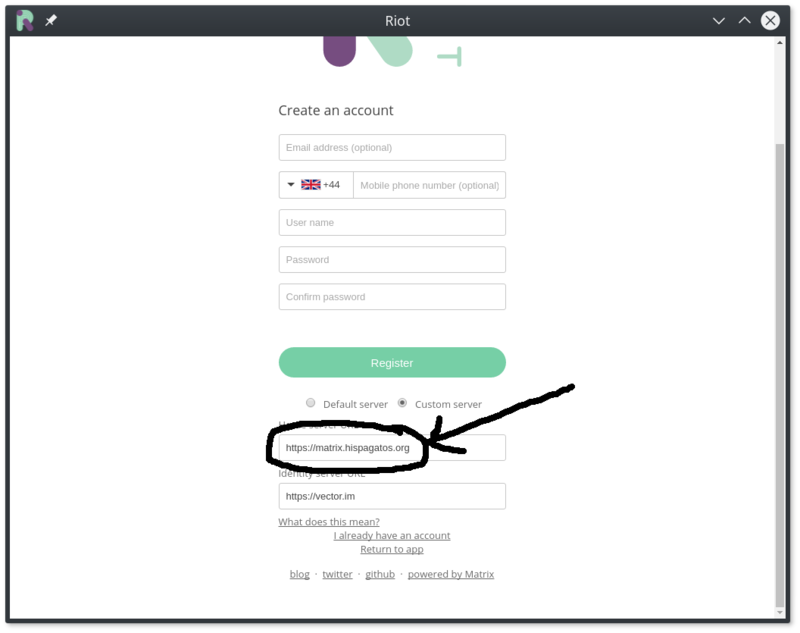 In a couple days going to enable a captcha in thie procedure, I will update the howto at the time. #hispagatos is invite only so when you are in the server let me know and I will invite you. I’m @rek2 just open a chat with me. and YES the green theme is uggly, if you are using RIOT and not another client, you can change to a dark them on the settings options for your user.